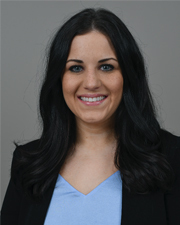 Morgan Brown is a board certified, adult-gerontology primary care nurse practitioner. Morgan was born and raised in League City, Texas. In 2012, she completed her bachelor’s degree in nursing at Texas Christian University in Fort Worth, Texas. She then moved back to Houston to pursue her nursing career at Memorial Hermann Hospital in the Texas Medical Center. She has over six years of experience as a registered nurse at the bedside, specializing in general surgery, gynecology and orthopedics. In 2017, she completed her master’s degree in nursing at UTMB in Galveston. She is passionate about health and wellness, and uses a holistic approach to treat her patients.